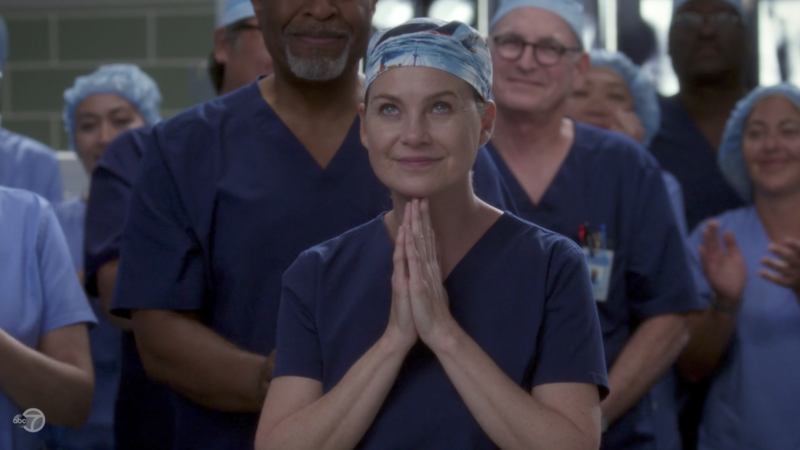 Thursday, Nov. 9, marked the 300th episode of Grey's Anatomy and, guys, IT WAS EMOTIONAL. Co-showrunner Krista Vernoff, who wrote the episode, spent the night live-tweeting the show...and she revealed some really cool stuff. Like how the episode was written by a woman, directed by a woman, created by a woman, line produced by a woman, and edited by a woman. 1. 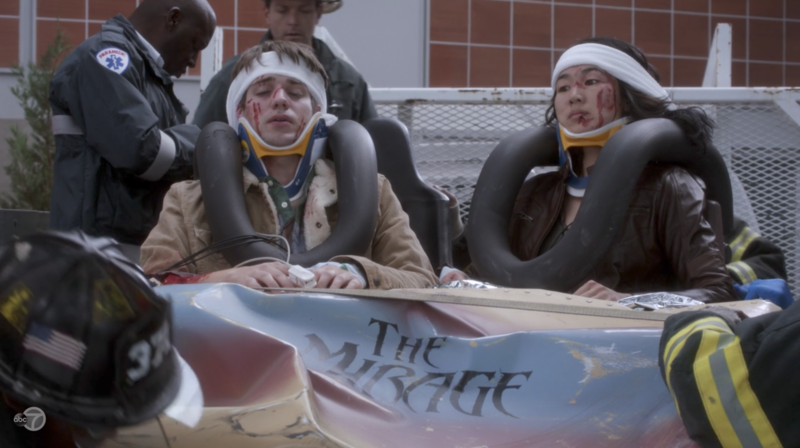 The paramedics seen bringing in the two people trapped in the rollercoaster car are Ray and Nicole, both of whom have appeared in many other iconic episodes of the show. 2. 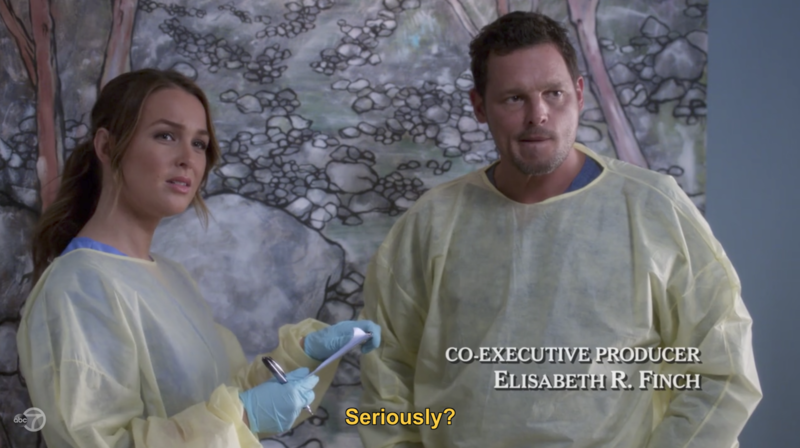 Remember how Izzie used to say "seriously" all the time? Well, they made sure to say it a bunch in last night's episode. 3. Amelia getting a CT scan for her patient is a callback to Derek not getting a CT, which ultimately led to his death. 4. George and Cristina 2.0 stuck in the rollercoaster has parallels to Season 2's "Into You Like a Train" where two strangers are impaled on a pole. 5. No, you weren't imagining things: The George, Izzie, and Cristina doppelgängers wore very similar clothes to those of the original characters. 6. Oh, and George 2.0's name is Greg, and Cristina 2.0's name is Cleo. 7. 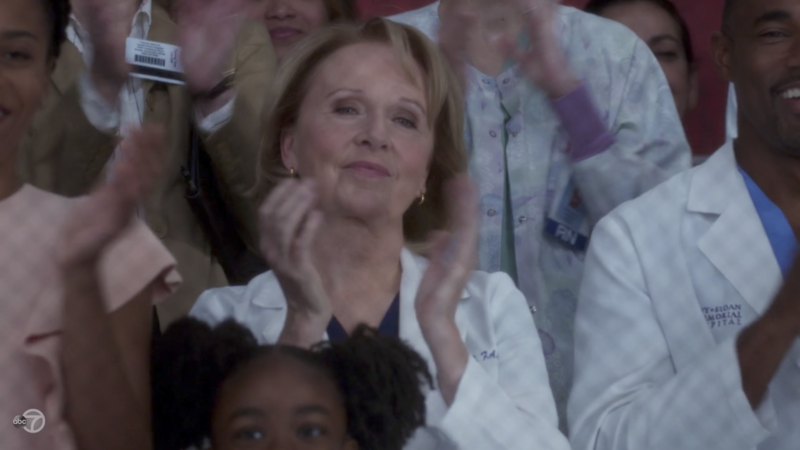 The song "Young Folks" was originally in Season 3's "Let the Angels Commit," where Izzie returns to the hospital under probation and Cristina covers for Burke and his hand. 8. 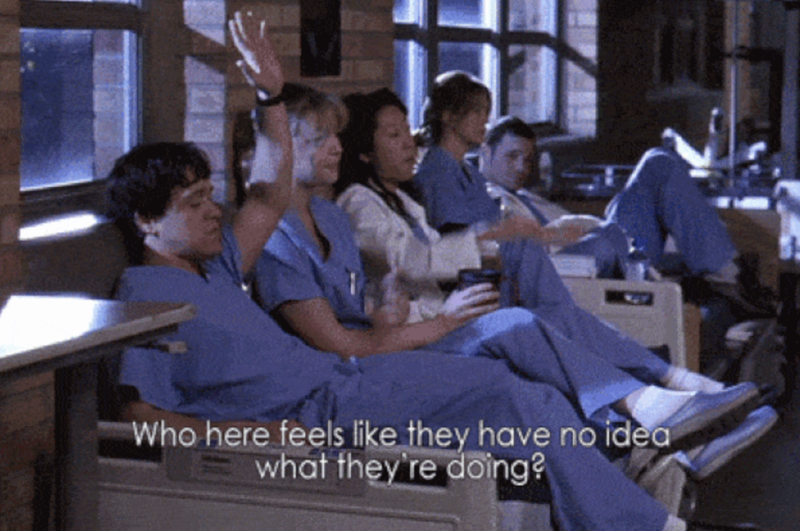 And I'm 100% sure you heard the cover of "Keep Breathing" playing, the original of which first played in Season 3's episode when Cristina realizes Burke has left. 9. 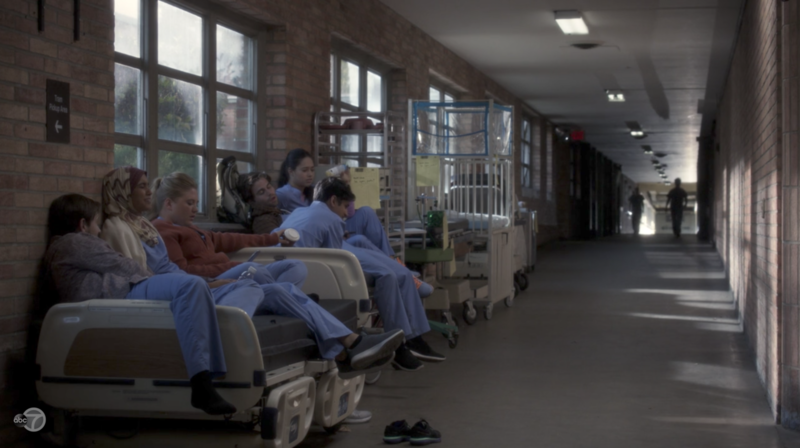 Everyone attempting to get Meredith to leave for the Harper Avery awards is similar to Meredith trying to get Cristina to leave the hospital in Season 10's "Fear (of the Unknown)." 10. 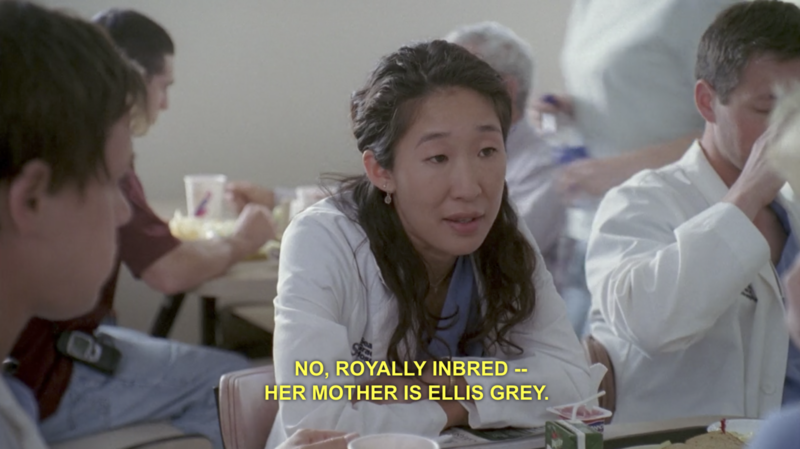 In the pilot, Cristina calls Meredith "royally inbred" because of her mother, and in the 300th episode, Cristina's doppelgänger calls Meredith "royalty." 11. 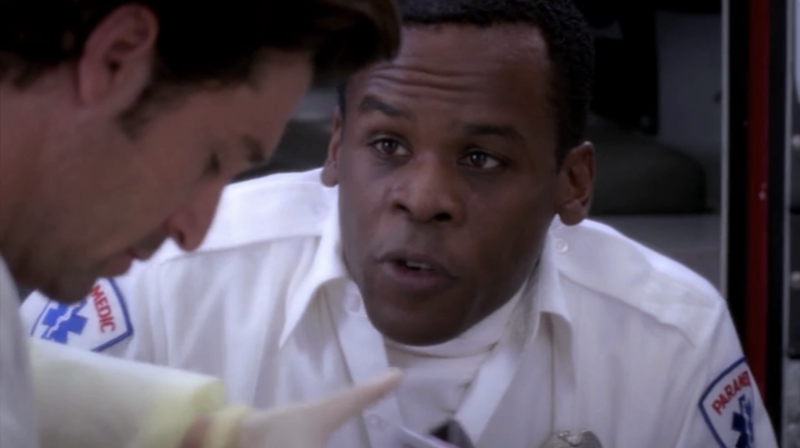 The song "They," which was featured in the episode, was originally played in the pilot when Meredith got lost in the tunnels with a patient. 12. How about the new interns hanging out in the tunnels where the OG five used to sit? 13. Oh, and they brought back the original theme song for the 300th. 14. 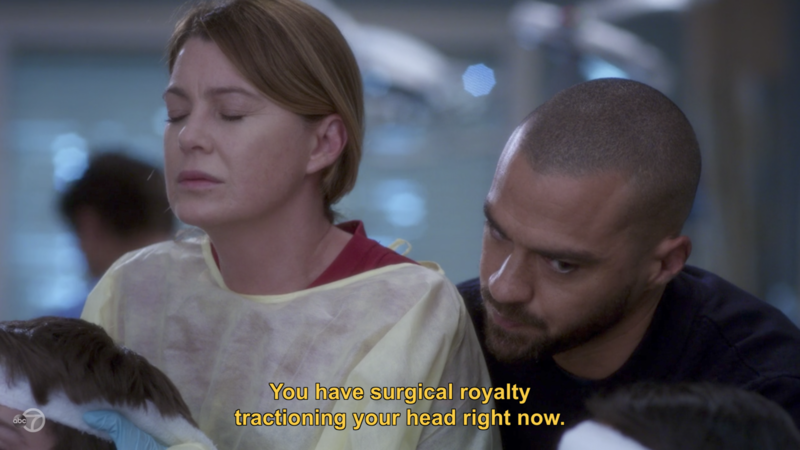 And finally, Vernoff didn't bring this one up in her tweets, but you're lying if you didn't instantly think of Alex carrying Izzie in her ball gown when you saw this scene. This post will be updated as more Easter eggs are revealed.